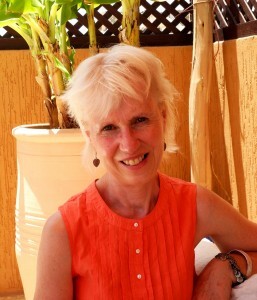 Recently I had a chin-wag with the lovely Linda Lyons of Riad Linda in Marrakech, Morocco. The property can sleep up to 14 people and has a blissful Berber Tent on the terrace garden – perfect for relaxing under when the Moroccan sun is at its hottest. Riad Linda is proud to have been awarded Trip Advisor’s Certificate of Excellence 2013. Property Reference: 70786 Hi Linda, tell us a bit about your property and its location. Riad Linda is a charming, traditional Marrakech riad peacefully situated in a quiet residential derb in a very welcoming neighbourhood, just 5 minutes walk from the vibrancy and the magic of the Jemaa el Fna Square. Our location is perfect for all travelers who wish to experience the authentic Marrakech. Why do you love Marrakech? Marrakech has always had a mystique about it. A city of immense beauty below the dramatic peaks of the High Atlas Mountains, its narrow alleys beg discovery whilst its bustling thoroughfares infuse the visitor with the city’s excitement and vitality. This is a vibrant, chic, cosmopolitan city that offers a wide range of cafes, restaurants, night-clubs, bars, shops, cultural events and art galleries attracting the rich and famous from Europe and beyond. There is also a good chance of rubbing shoulders with celebrities, given the thriving film industry and annual film festival. However, there is one part of Marrakech that remains unique, the old town or medina. The medina is the famous bustling maze of market streets and alleyways where you can share endless cups of mint tea whilst bargaining for that carpet, these Moroccan leather slippers, that Saharan jewellery, chests, kaftans, and all manner of antiques. It also contains the beating heart of Marrakech, the Djemaa el Fna Square which is a showcase of traditional Moroccan life. This is where traditional music, dance, storytelling, eating and socialising have continued unchanged for centuries. It is now a designated World Heritage site. Who would you recommend this property to? This property is ideal for families who want to get together and also experience another culture. 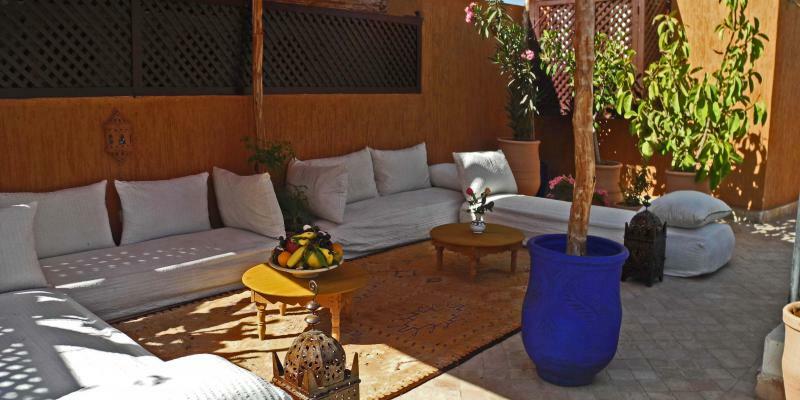 Our riad is also great for groups of friends who want to relax or celebrate a special occasion. The location is also ideal for single travellers, and also couples who would like a romantic breaks. Talk us through your routine for making sure your property is perfect for your guests when they arrive. Before our guests arrive, we will have contacted them to arrange for our driver to meet them at the airport. Our concierge Wadii will then meet our guests and bring them to the riad. This way guests have peace of mind knowing they will arrive safely without getting lost. We also find out about any special events that our guests might be celebrating so that we can arrange for example, a cake or flowers. Fadila our housekeeper works extremely hard to make sure that the riad is always kept spotless and all guests’ rooms are cleaned thoroughly each day, and fresh linen and towels are also provided. Finally, give us a recommendation for your favourite local attraction. Our favourite recommendation is to visit Djemma el Fna when the sun is setting. This is when all the food stalls come out & to take a seat at one of the many roof top café terraces that surround the square, enjoy an ice cream or a coffee and soak up the atmosphere. Don’t forget your camera!